MakMay is actively developing a line of ecologically friendly and harmless products in Ukrainian market. This product category includes two exclusive brand-new products of MakMay, namely Natural ketchup! More than a year masters of MakMay with famous German technologists has been developing unique formulas of these wonderful products. Today we can be proud of the fact that Ukraine has got its own quality natural ketchup, which is analog of well-known and world-famous sauce “Heinz”. MakMay Natural ketchup, as other natural products of MakMay contain all the best and nothing superfluous. These ketchups do not contain starch, thickeners, preservatives, flavorings, dyes and E-additives. They are made from the high quality tomatoes, natural pectin and citrus fibers with the addition of a perfectly pure water, natural spirit vinegar, sugar, salt, and a special set of gorgeous spices. 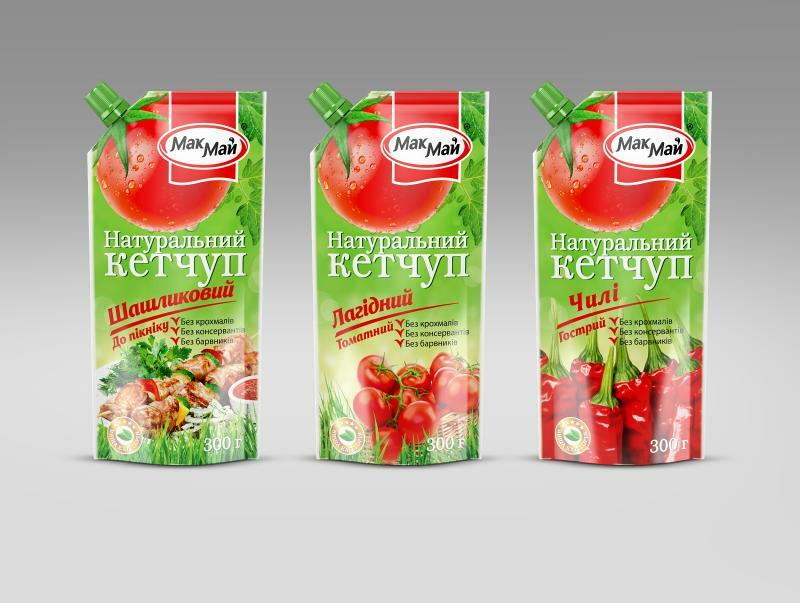 Natural ketchup of MakMay are Ukrainian standards of tomato ketchup with a rich taste and the first class natural product for a moderate price. MakMay Natural ketchup do not contain any dyes and thickeners, and they are astonishingly bright red and have rich tomato flavor, achieved by a high content of tomato substances. Compared to regular ketchups natural ketchups of MakMay have 45% more tomato substances. 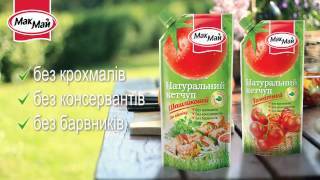 Even the world famous “Heinz” is inferior to Ukrainian Natural ketchup of MakMay by the number of fresh tomatoes! 100 g. of “Heinz” contain 132 g of tomatoes, and 100 g of Natural ketchup of MakMay contain 150 g of fresh tomatoes.